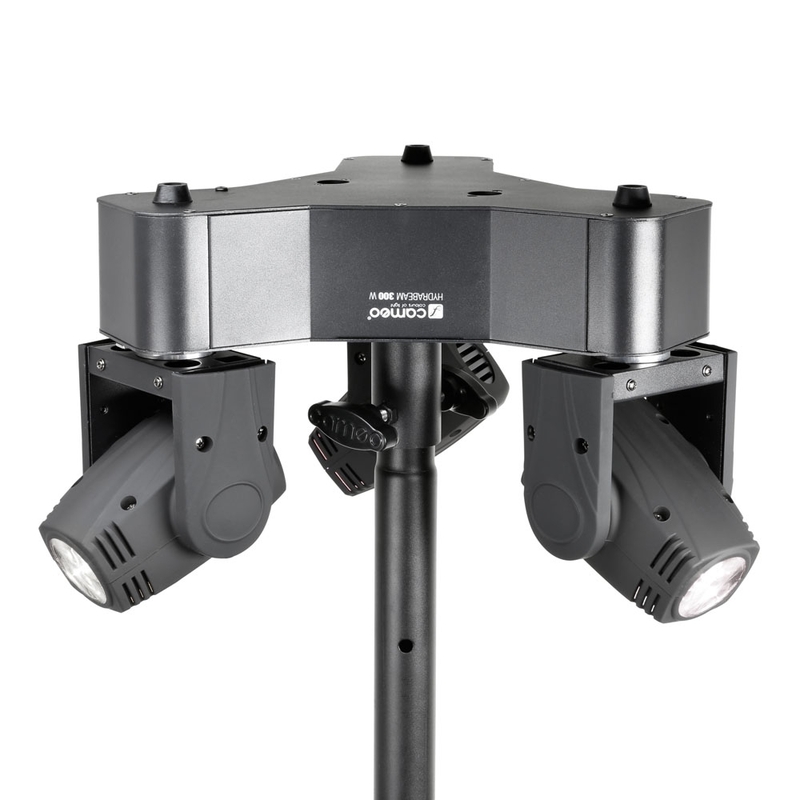 The Cameo HydraBeam 300 W combines 3 ultra fast, individually controllable moving heads with 540° pan and 270° tilt in a single triangular fixture. 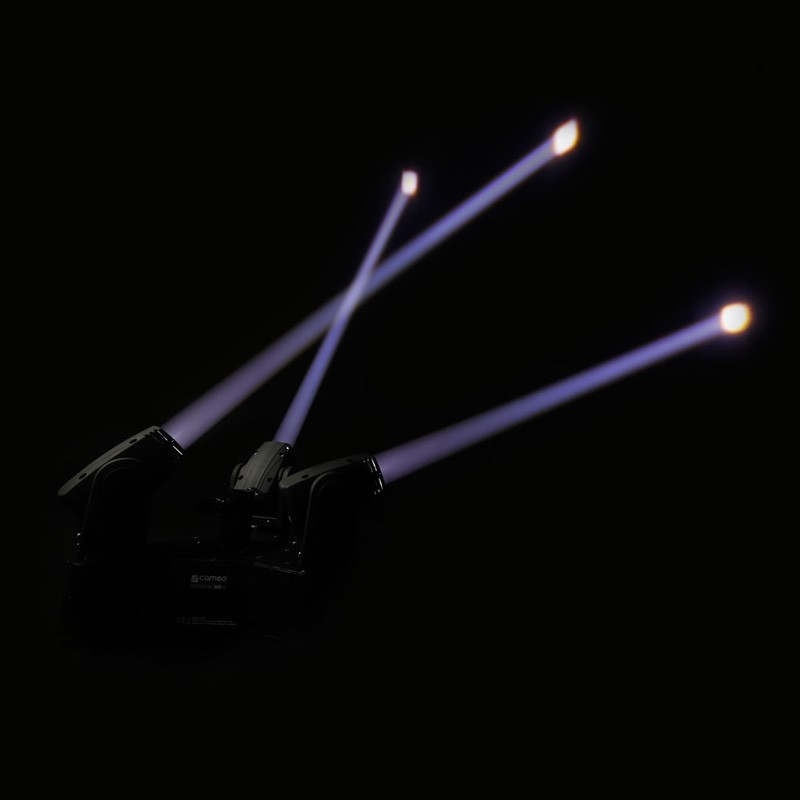 They are equipped with ultra bright white 10W Lumi-Engin LEDs providing a beam width of 4.5° each and a total of 92,000 lx. 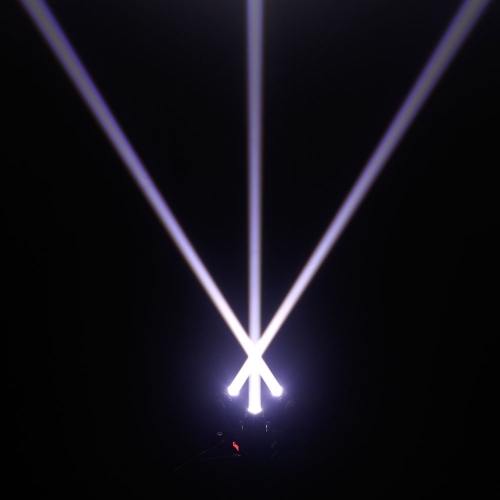 A low-noise fan keeps the fixture cool. 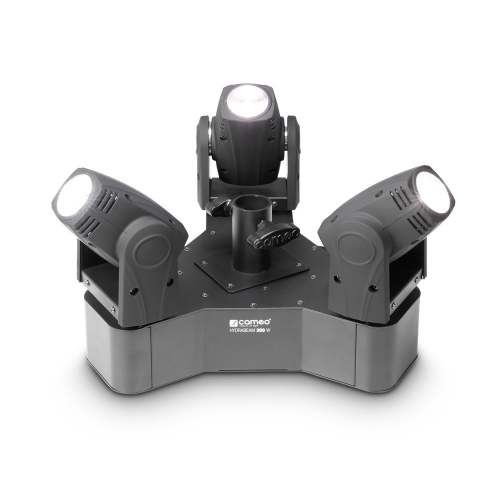 The HydraBeam 300 W features 5 modes of DMX control plus sound activation. 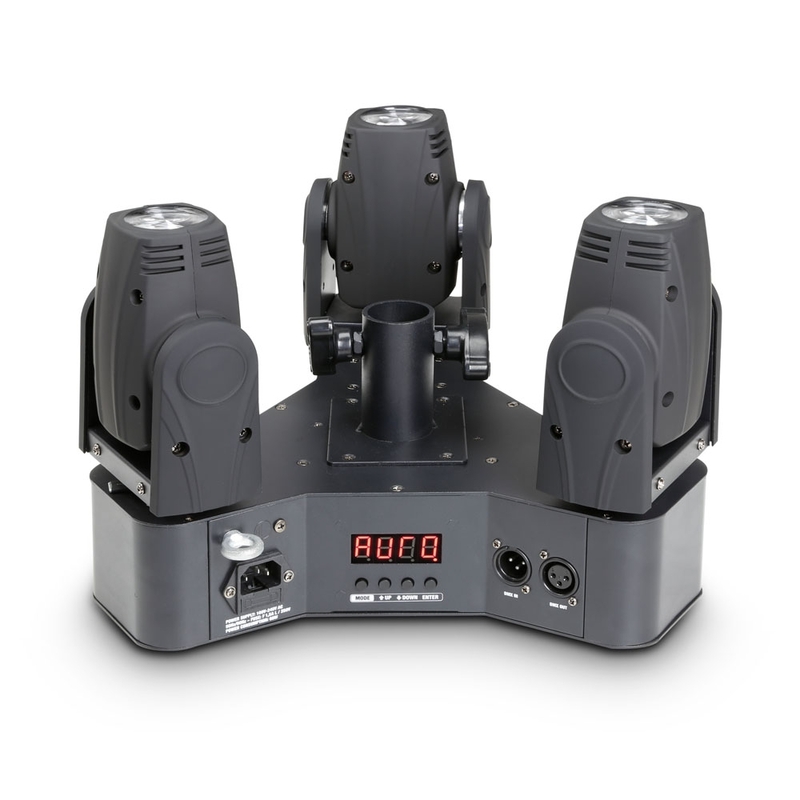 It can be used as standalone, master or slave and includes 16 automated operating modes, the strobe function fires more up to 30 flashes per second. 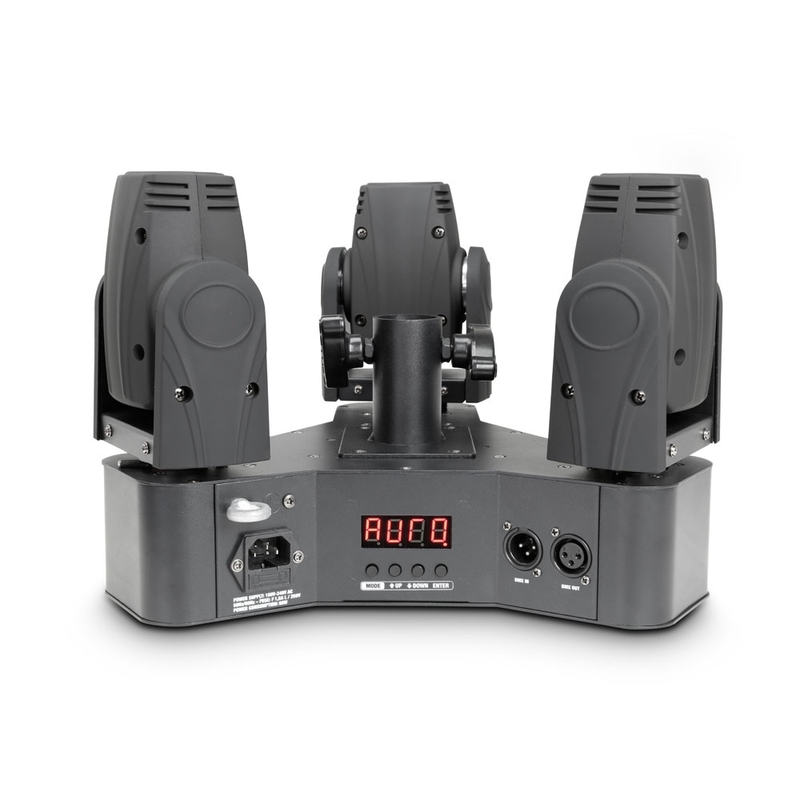 The rugged black construction of steel and ABS sports a backlit display with four buttons for easy manual control. 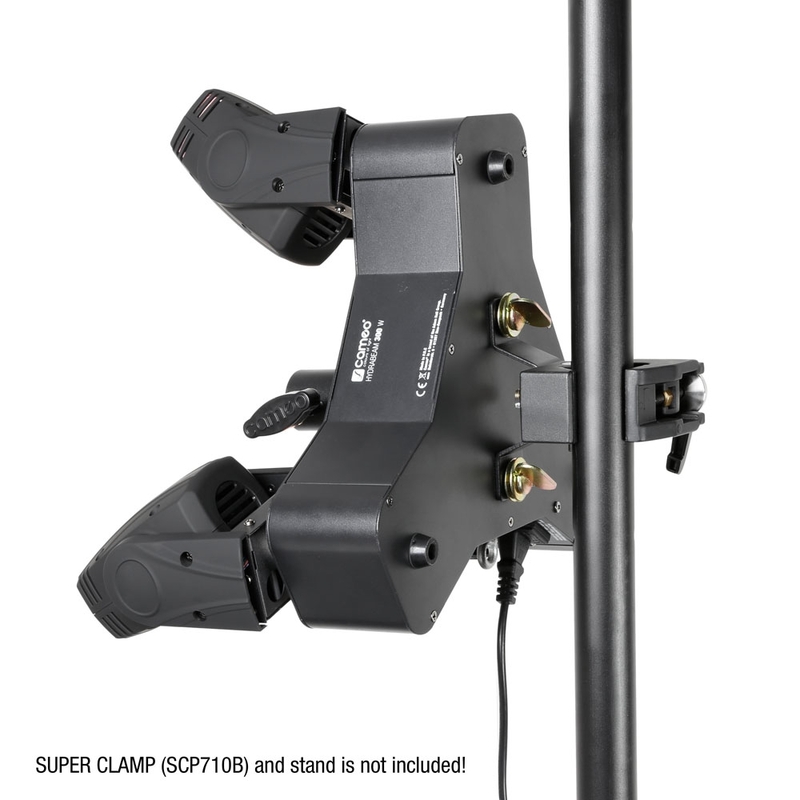 The Cameo HydraBeam 300 W operates on 100 – 240 volts AC and comes with an omega bracket and detachable pole mount for universal mounting options.